After spending a week in Dryden in the pursuit of chanterelles I found myself with an extra hour in Thunder Bay before my flight home to the “six” [sorry kids – I know it’s embarrassing when dad works for street cred – I promise it will get worse not better]. Thankfully my cousin from TBay hasn’t gotten a new cell phone since I last texted her in 2011 so I had access to some intel. 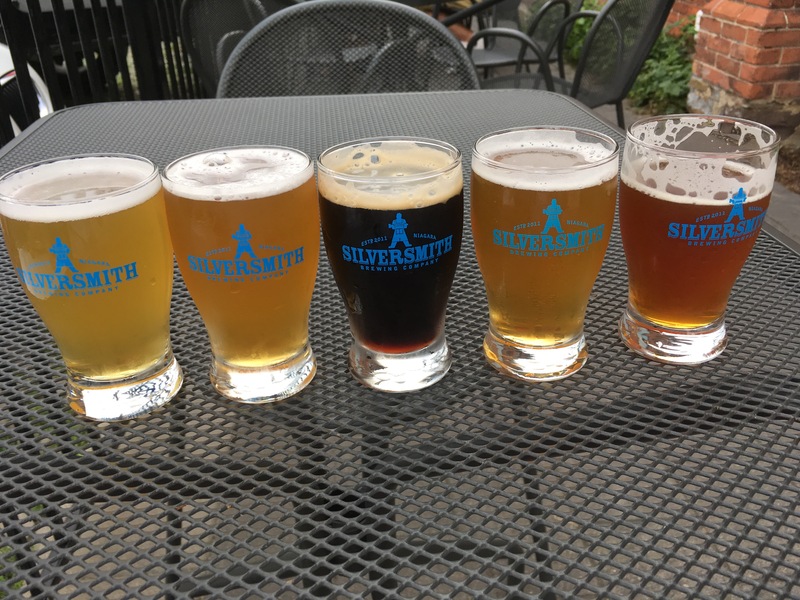 She recommended The Sleeping Giant Brewery. So before my flight I got a flight [there”s no poetry quite like word poetry]. I even got a little tour. Big tanks, medium tanks, and tiny tanks for experimenting with. My tour guide – more accurately the closest employee I nabbbed for questioning – had a Saskatoon berry sour on the go – her first nano brew in the cute R2-D2 size tanks. Hey Sleeping Giant people – I loved all your beer – especially the Spruce tip Ale – and I loved your brewery. Stay woke Sleeping Giant – stay woke! This Cinco de Mayo consider the piñata [cinco de mayo loosely translates as “the fifth of May”]. Beautiful, noble beasts that are the life of the party. But there is a dark side so obvious that i’ve missed it before today. We tell Señor Piñata how beautiful he is, hug him, stuff him full of candy, make him feel loved, invite some friends over for a piñata party, and then bash the heck out of him with a bat! What kind of a sick joke is that? Also, Napoleon sounds like a jerk. Also, i’ve heard he has bad breath. So get yourself to a cinco de mayo party today. The Guava Saison is selling like Mexican hot cakes at the Muddy York and they have a party today. Or go out and buy a gateway tequila that may lead to other more expensive tequilae. Isn’t it fitting that the Mexicans rode humongous chickens while defeating the Spanish? Also, this delicious tequila is under $40. And the happy ending to this story – besides the Mexicans not being held under Spanish oppression – is that this little guy was rescued by my daughter M and is now safely in a burro sanctuary. The Muddy York Brewing Company recently re-released their R-100 IPA [i’ll get to describing the beer later*, probably]. I, for one, subscribe to the belief that nothing happens by chance. Which is why i loved the 1978 BBC documentary Connections, created, written, and presented by science historian James Burke. In each episode James Burke would demonstrate how various discoveries, scientific achievements, and historical world events were built from one another successively, in an interconnected way, to bring about particular aspects of modern technology. Kinda like how Wikipedia is going to now sue me for copying stuff word for word from their site. Now follow me on this. The R-100, aka the Zeppelin airship, was created by a certain Count von Zeppelin. Check out this dashing man. Muddy York Brewing Company’s R-100 IPA was invented by their founder and brewmaster Jeff Manol. Check out this dashing man – wait a minute! The resemblance is remarkable don’t you think? And it’s not just the fantastically groomed moustache and hat [maybe it’s the fantastically groomed moustache and hat]. Zeppelin also happens to be the name of a famous historical rock band – Led Zeppelin, for those kids that don’t really know about them. Led Zeppelin’s lead singer is Robert Plant. Check out this dashing man. And finally – as i write this i realize that my hair has grow far too long. A barista recently remarked, “You’re looking like a young Robert Plant today Travis”. And so, that is how Count von Zeppelin inspired a chain of events that found this blogger writing about a delicious IPA. Also, i realize that i may need a makeover, because unless Robert Plant and Led Zeppelin get cool again my look has gone the way of the Hindenburg. 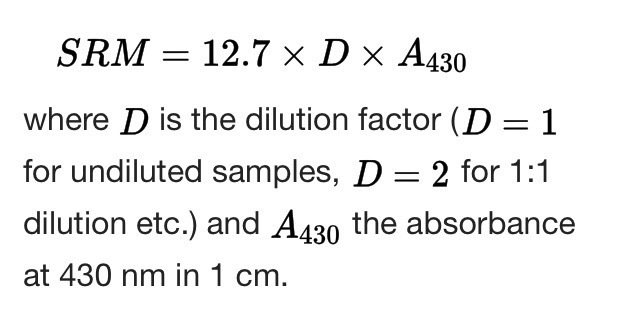 *R-100 – 70 IBUs. Magnum, Topaz and Equinox hops – evoking memories of MYBC Stormglass IPA. **James Burke is not particularly dashing – well, compared to the Count, Jeff, or Robert. This is what SRM looks like for the visual learner. The full title of this blog post is, Ü is for Ümlaut. My quest for Funk, Oud Bruin, and Church – how Science became relevant again. 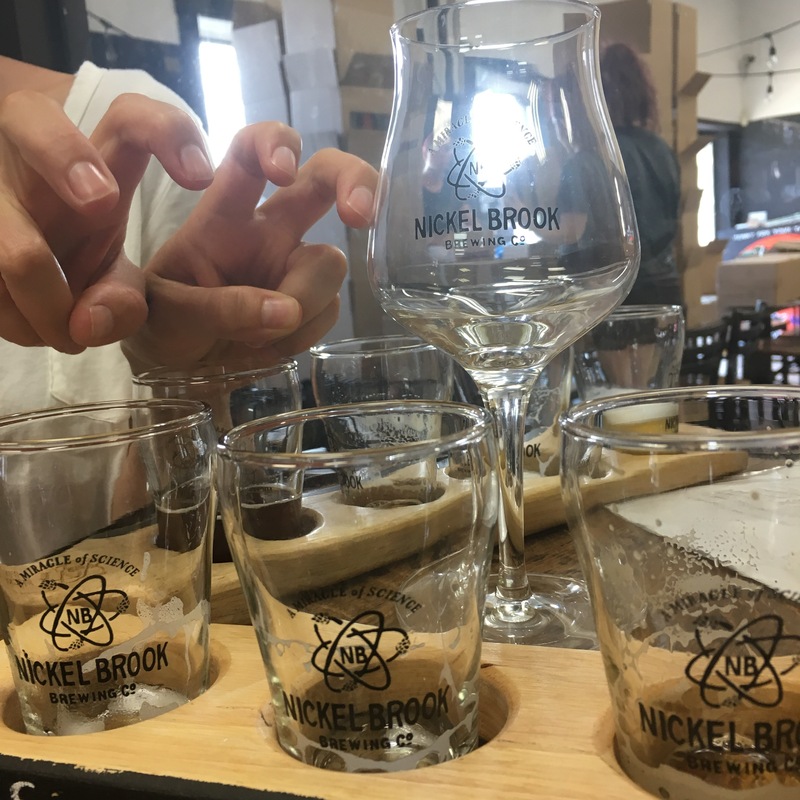 This past weekend i decided to tour three of my favourite breweries for the first time. 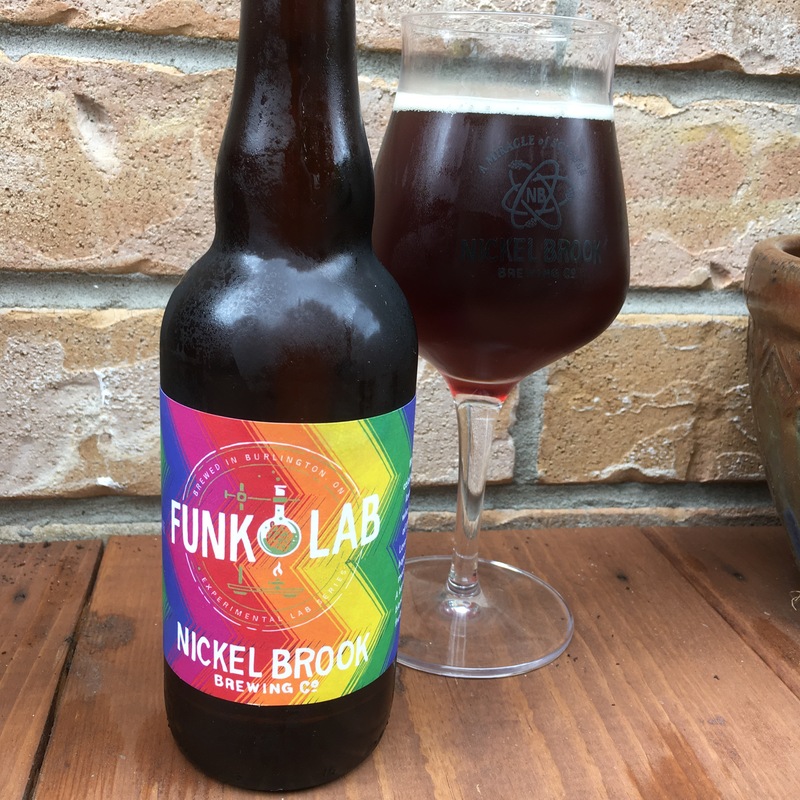 My pilgrimage began at the Funk Lab of Nickel Brook Brewing Co. where Science is being made relevant again by these clever people in Burlington. Funk and sour and fruit make for delicious science. 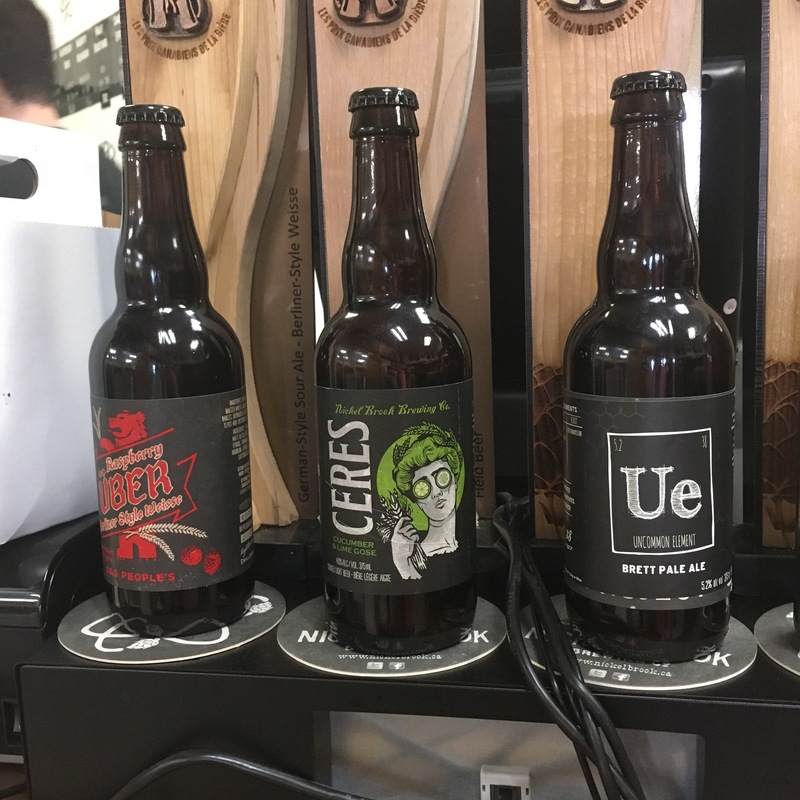 I’ve been a fan all summer of the Ceres and the Raspberry Über where vegetables, fruit, bacteria and yeast excite both the palate and the imagination. It’s the miracle of science. Also, any brewery that celebrates the Ümlaut is my kind of place. Oh yeah, the sommelier glass i got was also worth the trip. Ü is for Ümlaut. 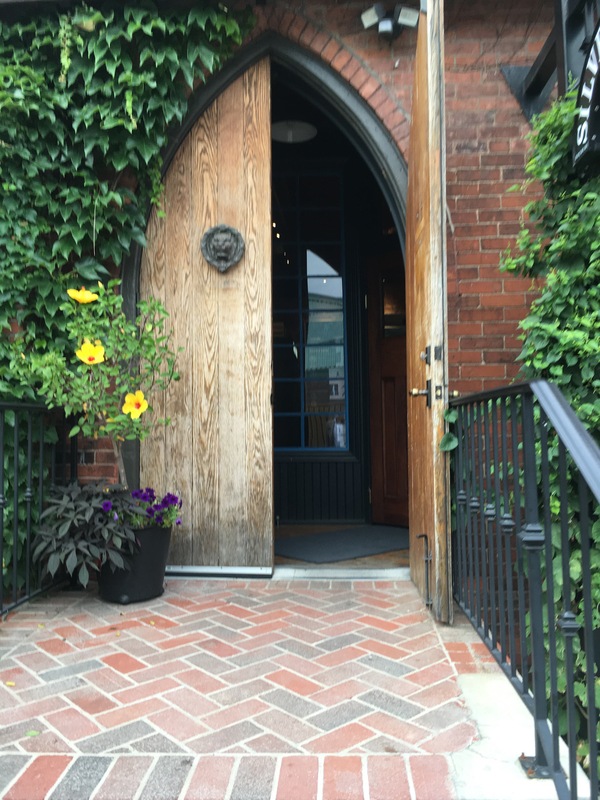 At the Exchange Brewery in Niagara-on-the-Lake [the town with more hyphens than your town], my goal was to nab bottles of their heavenly nectar – Oud Bruin. What i found was a tasting flight with a bonus sample [because the bar “messed up” – heh]. 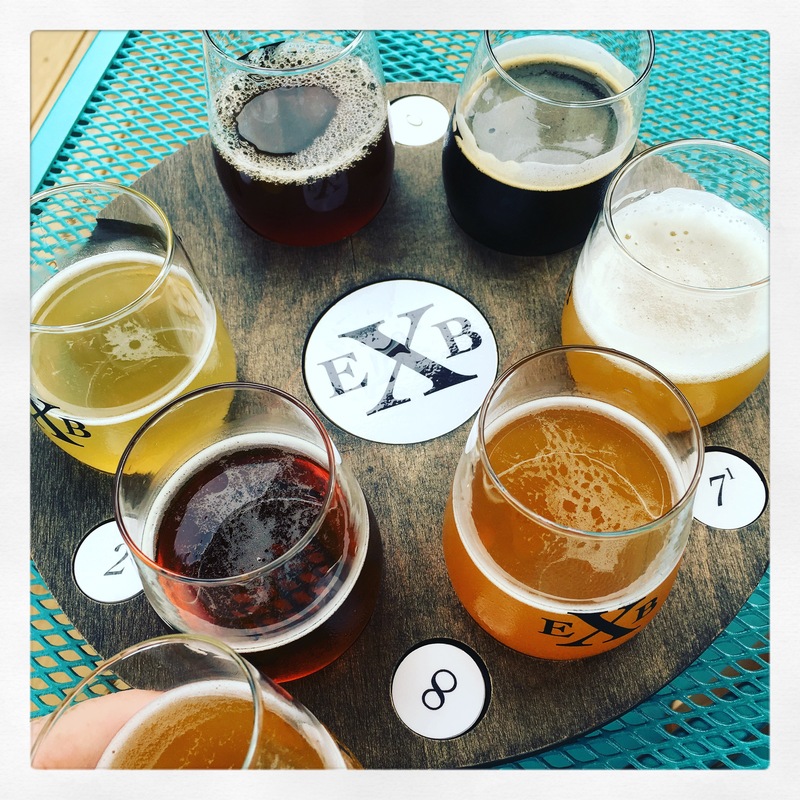 I particularly loved the Peppercorn Rye Saison, the White IPA, and the award winning Foreign Exchange Stout. Also, they made my Instagram account look instantly better [@travisoke]. So, yes, I went to a couple of breweries and to church this weekend. 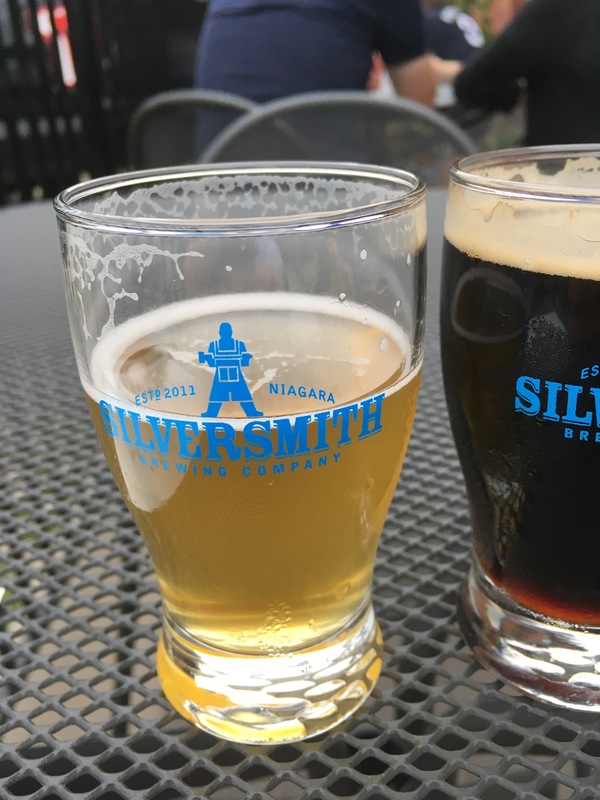 Silversmith Brewing Company is situated in a renovated church building in Niagara-on-the-Lake where i became one of the congregation. 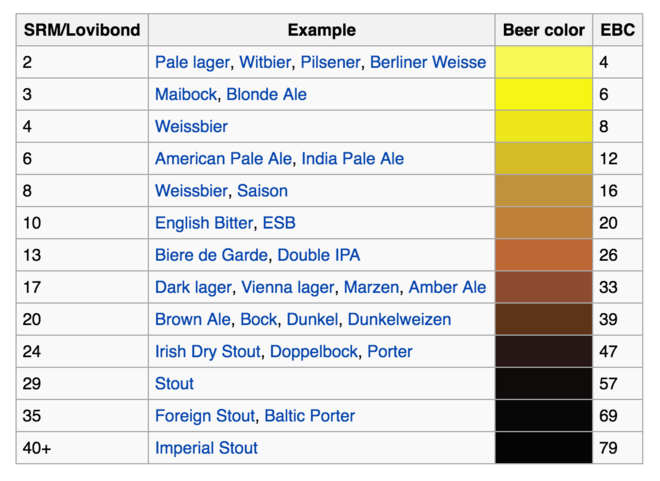 I loved the Bavarian Breakfast Wheat and the Golden Ale, but the Rosewater Kellerbier led the worship for me that day.